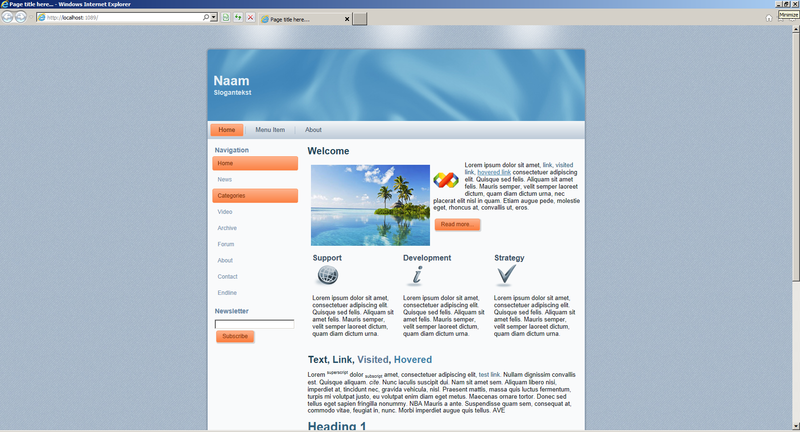 I love Artisteer for designing my web pages and used it a lot for the ASP.NET applications I worked on. Artisteer can export the design into a C# project and is relatively cheap! The problem is I moved on to the ASP.NET MVC3 framework (like a lot of ASP.NET developers I guess) and that’s not supported by Artisteer. In earlier versions of the ASP.NET MVC framework (where I used the ASPX view engine) it was not that difficult to migrate the C# project to an MVC application. 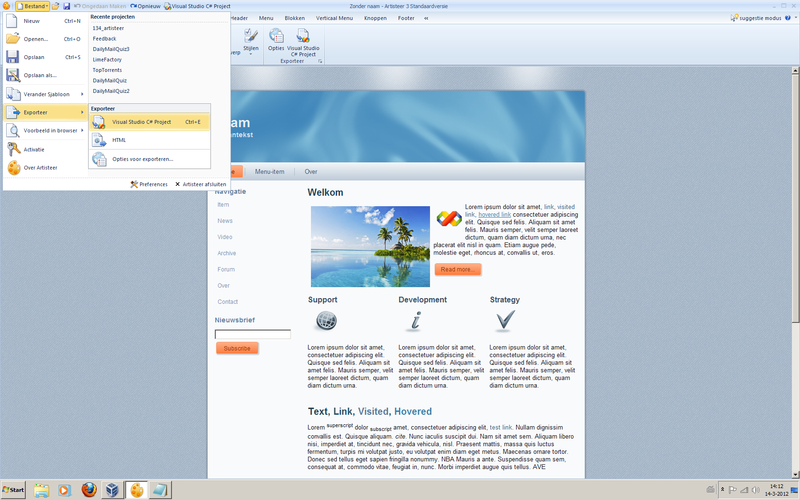 When you want to use ASP.NET MVC3 and the Razor view engine it’s a bit harder. Even though it will look like a lot of work, I believe the benefits of creating and manipulating you design by Artisteer, is worth the work. 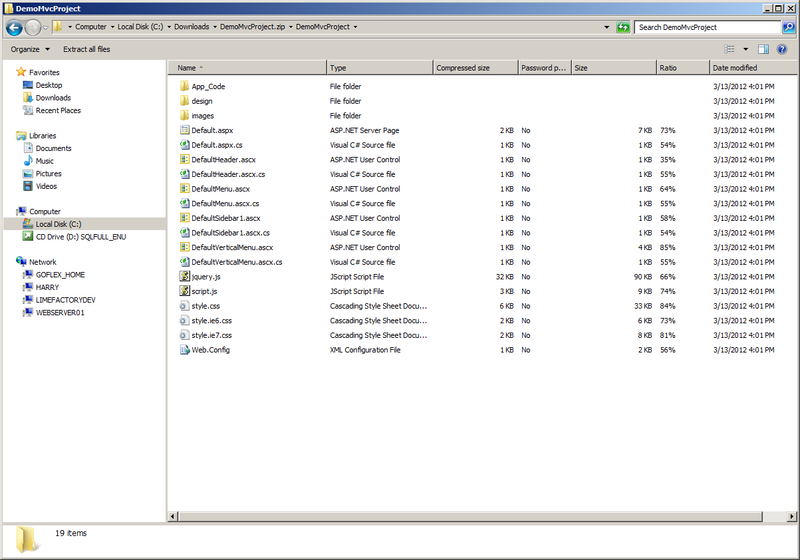 For this demo I’m using Artisteer 3.1 (I’m migrating the default project that’s openened by starting the application) and ASP.NET MVC3 (with the Razor view enginge) and Visual Studio 2010. You can download Artisteer bij clicking the banner below. 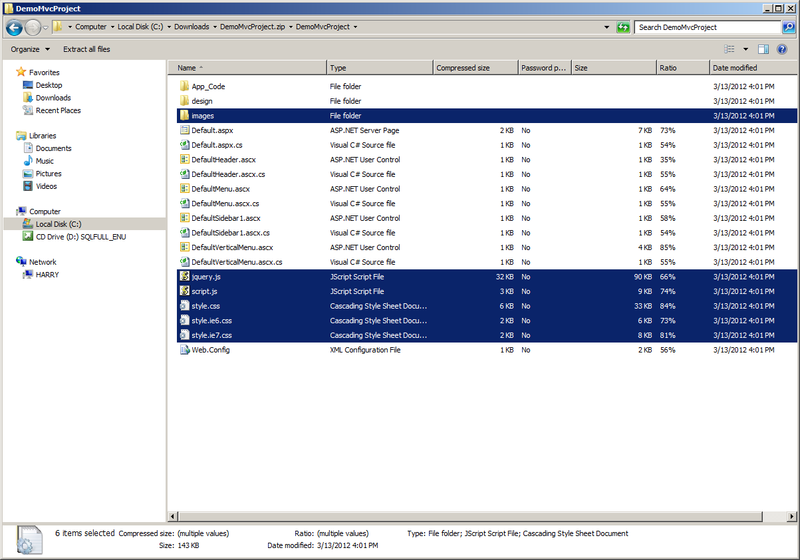 First export the Artisteer project as a Visual Studio C# project. Choose en empty application and select Razor as the view engine. You might want to copy the files to the corresponding MVC application folders (like Content and Scripts), but to keep it simple I’ll stick to the Artisteer application structure. The main challenge will be the migration of the Article and the Block web controls. They need to be transformed into MVC controls. So I wrote some ASP.NET MVC HtmlHelper extensions to generate the HTML in the Article.ascx and Block.ascx in the Artisteer C# project. I’ve added these classes to a newly created folder called Extensions in my Visual Studio MVC project. Add the namespaces in razor configuration in the web.config in the Views folder, so you don’t need any usings in your razor pages. Next go to the design folder of the Aristeer C# project and open the MasterPage.master file in Visual Studio. Now we need to change all ASP.NET specific logic to MVC 3 razor logic. First we’ll fix the html head section. This leaves us with the placeholders in the body of the html document. 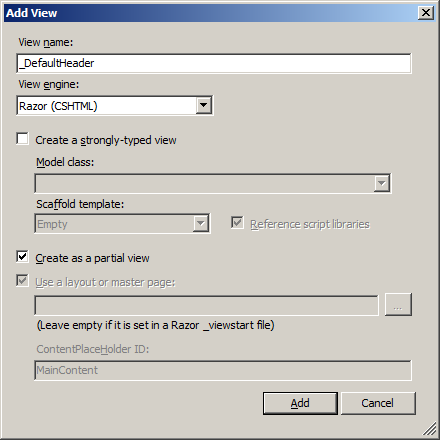 First create a partial view called _DefaultHeader.cshtml in the ..\Views\Shared folder of the MVC application. Next open the DefaultHeader.ascx file from the Artisteer C# project and copy the html content (without the %lt;%@ … %> lines) to the _DefaultHeader.cshtml file. Do the same for the DefaultMenu, DefaultVerticalMenu and DefaultSidebar1. The DefaultSidebar1 needs some extra changes since it’s using the DefaultVerticalMenu and an artisteer Block control. The last part is the migration of the Index page. Create a Home folder in the Views folder and add a View called Index. Remove this tag (and the corresponding end tag). 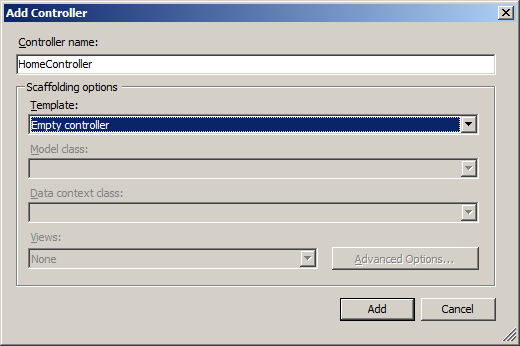 Now add a controller for the index page to the Controllers folder of your MVC application by right clicking the Controllers folder and changing the name to HomeController and select the EmptyController template. 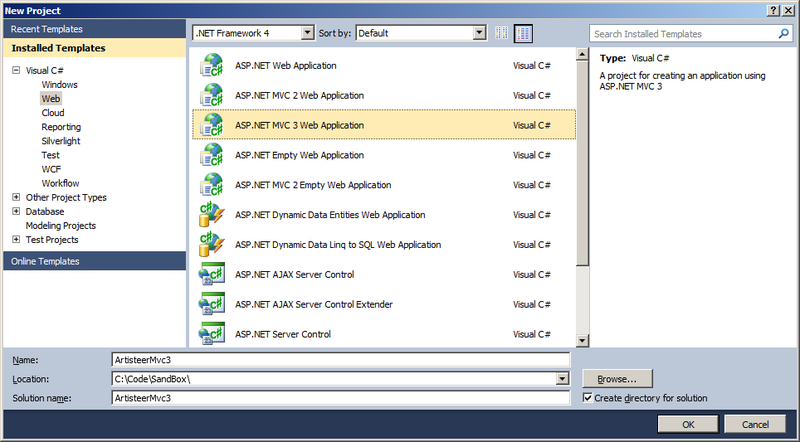 Time to press F5 and see you MVC application is using the Artisteer template. 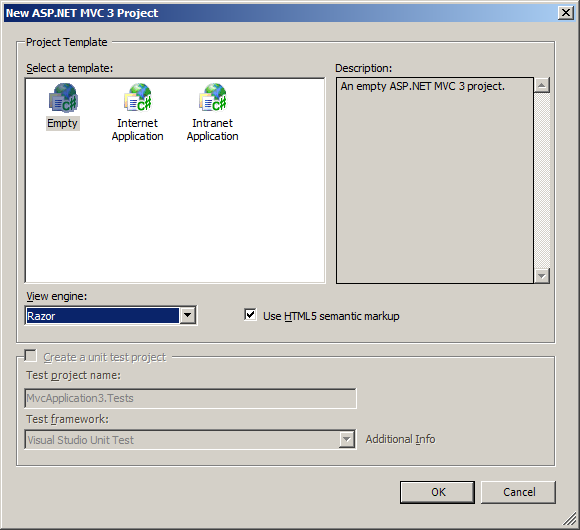 You can use this project as a template for other MVC applications based on an Artisteer layout. You can get a full working version from bitbucket here. When you make changes to your Artisteer project, just create a new export and copy the stylesheet files and the image folders to your ASP.NET MVC application. In some cases this will work, otherwise you should just change the _Layout.cshtml view or the partial views based on the masterpage and usercontrols from the generated Artisteer C# application. Remember to remove in the _layout (PartialView) the Form tag, if you are going to use Form submit in other views. Might not make sense now but with the _Layout.cshtml containing a form you will be a little frustrated if no action are invoked on a form submit. Great work. Thanks for sharing. I am not sure why the vendor does not care to address ASP.NET flavors so much. Great!! For MVC 4? Is the same? There is an MVC3 and an MVC4 plugin available.